Thanks to Debs @Focused on the Magic for hosting the Wordless Wednesday Blog Hop! What a great picture to represent Disney Time! 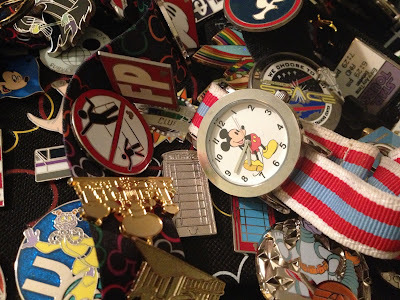 Welcome to the Wordless Wednesday Blog Hop, it's a fun way to get a Disney Fix! Thanks, Mike! It's been a lot of fun participating. Oh, I love your take on the theme! Very nice! Time and Figment! Great shot! Great picture! It really expresses the theme beautifully! 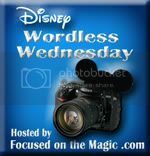 Thanks so much for sharing and for joining in on the Disney Wordless Wednesday Blog Hop today!! Thanks so much- I had fun with the theme. Looking forward to the next hop! So perfect for the theme! Reminds me that I need to get my Mickey watch fixed. Mickey watches are great. Thanks for the comment! You've got some really great bling there! Such a great photo - I love that Mickey watch!! Thanks Lisa- I appreciate the comment! Thank you very much- I appreciate your comment! Fantastic photo and perfect for the theme! Great pins too! Welcome to Wordless Wednesday! Happy New Year! Thank you- I do love pins!